At the beginning of your project, you add your tasks and timeline, adding your estimated hours for each task. Once you’ve done this, you can go to the Budgets tab of a project, and save as a quote. 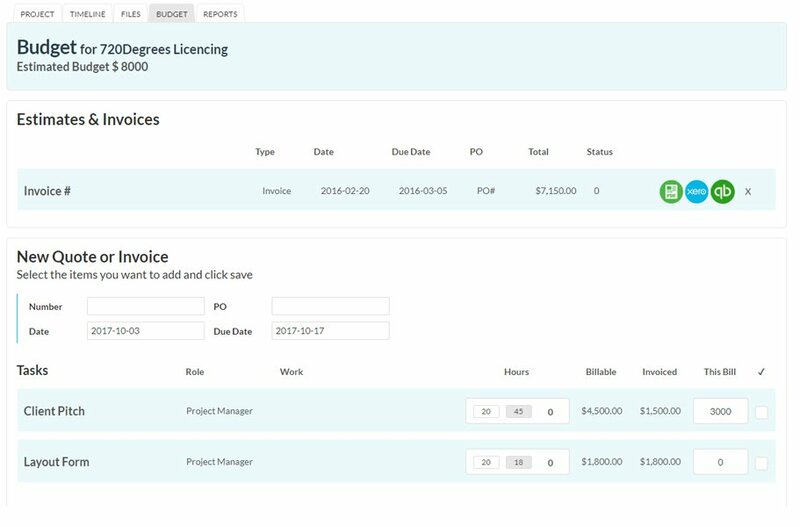 To create an invoice, visit the budgets tab to review the hours logged, materials items added, enter your desired amounts for each line item, and click Save Invoice. 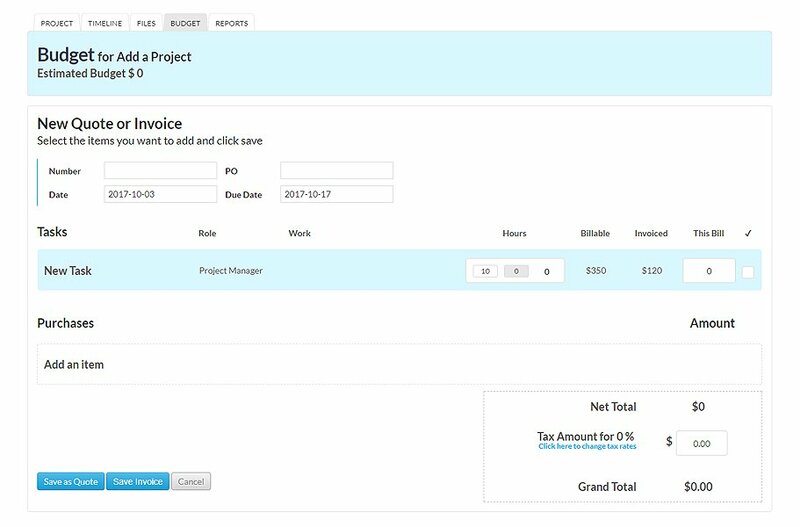 A new invoice is created ready to Print, generate PDF, export to Quickbooks or Xero. In order to enable the “Send to Xero” function, first visit the Settings/Billing area and click the “Connect to Xero” button. Once you’ve validated your account, you will then be able to send any Invoice to Xero and it will appear immediately, ready for sending and collection.